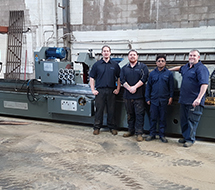 The staff at Berendsen’s chrome plating facility, CCA Hardchrome, have been eagerly awaiting the arrival of our latest acquisition, a Churchill cylindrical grinding machine capable of grinding rods up to 4 meters in length and 600mm in diameter. 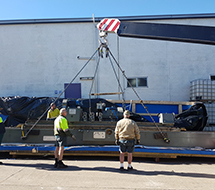 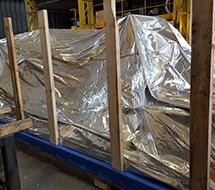 The new machine was purchased to enable us to increase throughput at our growing Kings Park chrome plating facility and achieve faster turnaround times for our customers. 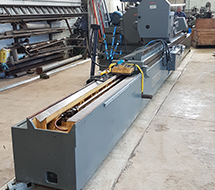 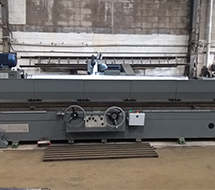 The grinder was sourced from the acclaimed English manufacturer of precision machine tools, the Churchill Machine Tool Co. To keep costs low our preference was to purchase a refurbished machine and Churchill was happy to assist with the sourcing of a suitable donor machine. 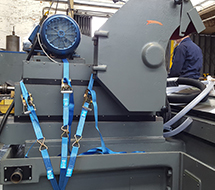 By the end of the refurbishment process the machine was restored to as-new condition, with electronics upgraded to the latest technology. 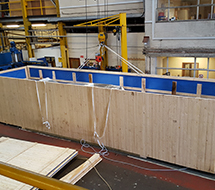 The project was completed on-time and on-budget and we could not be happier with the result. 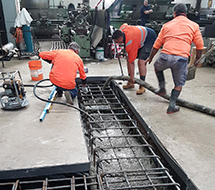 Pictured: Work in Progress at Churchill Machine Co. 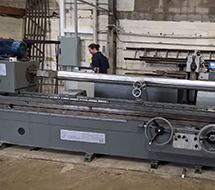 When it comes to cylindrical grinding machines, nobody produces a more reliable machine than Churchill Machine Co. and the peace of mind was well worth the four month refurbishment and shipping lead-time from the UK. 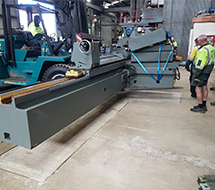 When working to very fine tolerances correct installation of machinery is paramount and nothing was left to chance in our preparations. 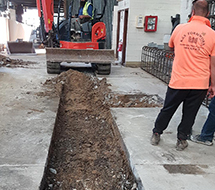 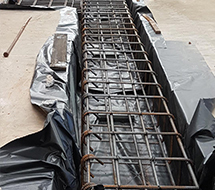 This involved construction of a 600mm thick, reinforced concrete footing. 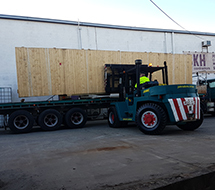 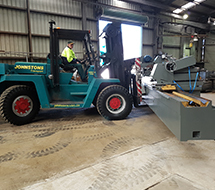 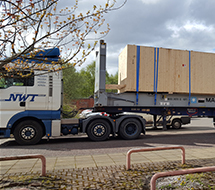 With no room for error, expertly machine movers, Johnson’s transport, were engaged to handle the precious cargo and handled the lift-off, unboxing, and positioning of the machine. 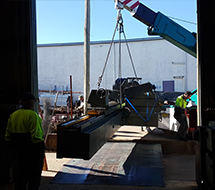 Once the machine was safely in position Joel from Churchill Machine Co. flew out to complete the final installation and commissioning of the machine. 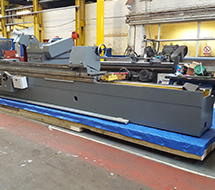 With no time to waste it was straight into production and we’re incredibly happy with the performance of the new machine. 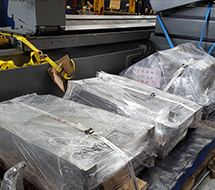 Our thanks to Joel, Jonathon, Marcus, Ernie and the rest of the team at Churchill Machine Tool Co.
As our capabilities in hard chroming continue to expand and develop, please email us with any chrome plating enquiries.